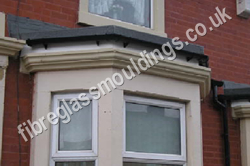 At Architectural Fibreglass Mouldings Ltd, we have a large range of bay canopies & bay tops suitable for a variety of applications. 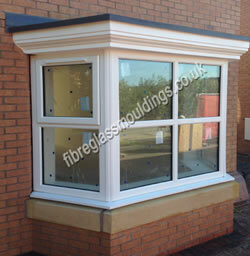 With over 25 years' experience, we can ensure that you get a quality bay window canopy to suit your property and even guarantee that it will be a maintenance-free investment. 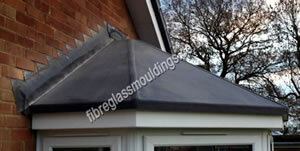 Unlike other bay tops our fibreglass product range is built to withstand extreme weather conditions and so does not deteriorate over time. 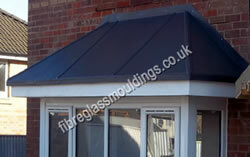 Our range of bay canopies includes styles as diverse as the hipped bay top and canopy style as well as the mono pitch bay tops. 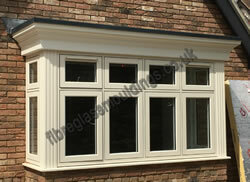 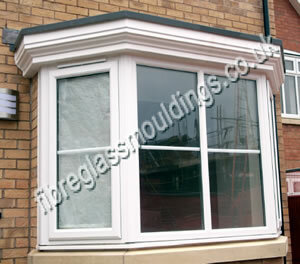 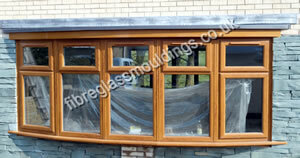 With our own in-house toolmakers, we also are able to create bespoke bay window canopies to your requirements. 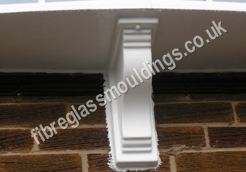 At Architectural Fibreglass Mouldings Ltd we have a dedicated team of fitters to ensure that your product is not only manufactured to the highest standard, but that your choice of bay window canopy or bay top is installed to the highest standards. 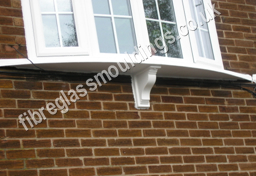 Every one of our fitters is a trained joiner and has met the industry standards so that you can trust you will receive the best service while having your moulding fitted. 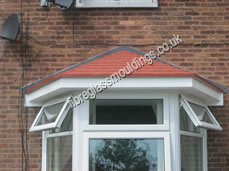 Our product range offers a huge choice of roof widths, soffit width and roof projection, giving you a range of window shape and sizes. 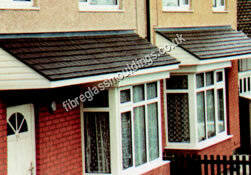 This means you can have the exact size of bay canopies to suit the size and look you want for your property. 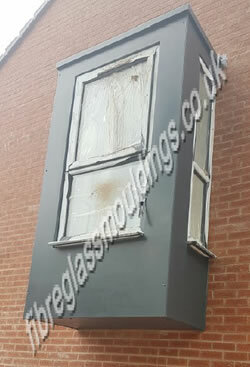 Our customer care team will be happy to work with your specific requirements and advise you on how our team can help so that you get the right product for your property. 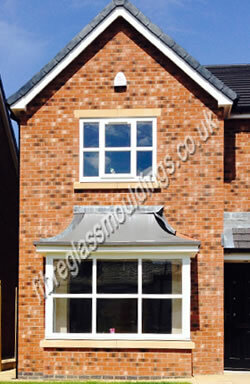 Fitting our products saves our clients time and money and gives the client maintenance free bay window canopies & bay tops. 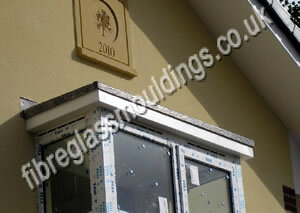 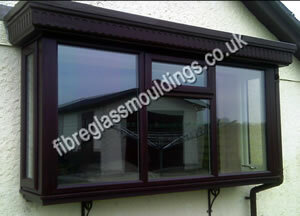 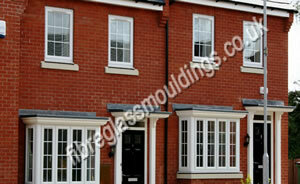 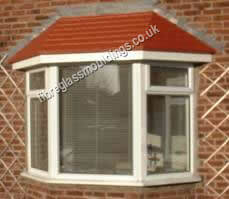 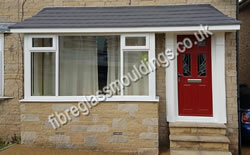 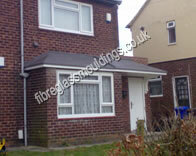 Contact Us now to find out more about our bay window canopies & tops. 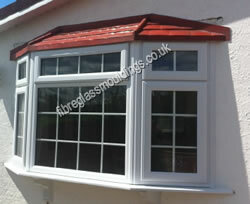 Any size and length available, please ask for details. 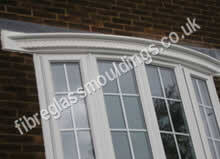 Any length available up to 4250mm, please ask for details. 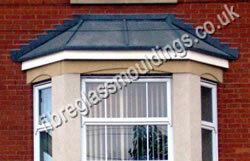 An attractive seamless lead effect Bay eliminates all the problems of short life span of felt.